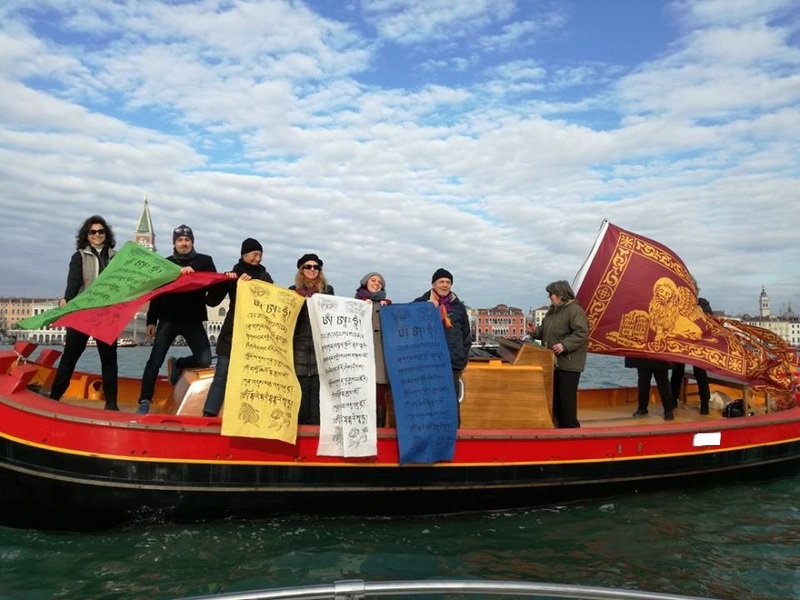 On the occasion of the inaugural event of the EU-China Tourism Year (ECTY), hosted by Venice, we are pleased to welcome the Delegation of the People’s Republic of China. Venice and its Lagoon, which have been chosen to host this event, represent a place of meeting and harmony among people, the uniqueness of which is founded in a dynamic equilibrium, as refined as it is delicate, between humans and the environment. The pursuit of harmony requires paying close attention to all elements, as well as measuring the impact of each project on the environment in which it will be placed. This is the message of the prayer flags of the picture: a philosophical, not a political emblem, which for centuries has called on enlightened minds to spread this consciousness and preserve harmony among all elements, because health and harmony are produced through the balance of the five elements. Five flags that are green like the air, red like fire, yellow like earth, white like water, and blue like space. Traditionally, these prayer flags are used to promote peace, compassion, strength and wisdom. The People’s Republic of China, like Italy and other countries, has firsthand experience of the damage that occurs when the balance of the five elements is broken. Likewise, in a city such as Venice, which has long been a symbol of harmony between communities and with the surrounding environment, we believe that further increases in touristic pressure would threaten the special features which have made Venice unique in the world and jeopardize the remaining chances of a living community with its own residents, culture and traditional skills, that are already now under huge pressure. as an ancient Chinese proverb says, “the same water can float or sink a ship”. An excess of tourism could sink this City from which investors hope to earn a fair profit. May our honourable guests recall the ancient wisdom that made China a beacon of civilization when other nations still groped in the dark during Medieval times. If this – as many predict – is to be the “Chinese Century”, let it be recalled as the arrival of minds that are enlightened, and not blinded by short term profits that destroy the foundations of future and long lasting prosperity.